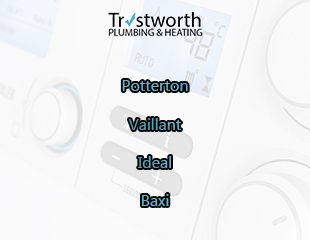 We Can Fix Vaillant, Ideal, Worcester Bosch, Potterton & Baxi Boilers. Expert Boiler Repairs In Dulwich Provided By Fully Qualified Engineers. Our Emergency Response Team In SE21 Can Respond To Gas & Heating Related Emergencies, 24 Hours A Day. Do you need expert boiler repairs in Dulwich that are highly recommended? Then contact our reliable company Trustworth Plumbing today. 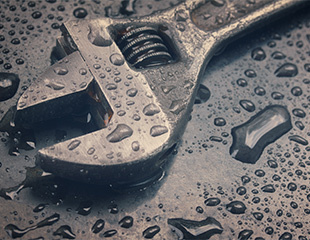 Our trusted local engineers can expertly repair your boiler. First, they will identify any problems. Our hardworking engineers always perform a thorough boiler service. Our local installations department work with professionalism and in a safe manner. Any gas boiler on the market, our experts can repair it with precision. We live and breathe the art form of boiler repairs in Dulwich. Our boiler repair Dulwich team team can fix Vaillant, Baxi, Potterton, Ideal and Worcester Bosch models. Did you know there are huge advantages in having your boiler regularly serviced? One clear advantage is maintaining the maximum efficiency of your gas appliance. We offer the highest quality home heating solutions. We are on the Gas Safe Register. Our credentials and be verified with our registration number (301783). When carrying out any type of work on your boiler, safety is our main priority. All of our experienced and gifted engineers prioritize your safety. We can ill afford to make any errors. Gas is dangerous to work with and errors can result in severe property damage/serious injury/death. Before and after each job, we carry out all required checks. It doesn't stop there as we believe aftercare is very important. Generally you use your boiler more times during the colder months than the warmer ones. The maintenance of your appliance can be low on your list of priorities. Our highly dependable Dulwich boiler repairs team are fully qualified. They love to offer key advice. Our valued reputation in Dulwich is represented by our loyal customers and great web reviews. Any hidden fault in your central heating system can be found by our tea,. Any boiler repair in Dulwich we carry out is durable and has longevity. We highly recommend a 'boiler service' at least once every twelve months. For maximum efficiency you could opt for an additional service in that period. When we complete your boiler repair, that is when the real work starts. Our aim is to help you maintain its good condition. Regular maintenance and checks help to maintain optimum efficiency. If your boiler breaks down, then you will be without hot water and central heating. On a cold winter's morning this can be a shock to your system. Don't panic - call our emergency quick-response team right away. They'll arrive as quickly as possible and take control of the situation. We always look to improve. So keeping up to date with the latest boiler technologies is essential. We implement techniques/technology to we further improve on safety. Our boiler repair Dulwich team have expert knowledge and experience. Never hire an unqualified person to do this job. It is against the law and often leads to disaster. Remember, carbon monoxide poisoning is affects many people each year. Trustworth can repair all types of leaky boilers. It doesn't matter if leak is coming from a temperature/pressure valve or broken seal. Looking for some tips, then Worcester Bosch have some great ones for homeowners. If you experience a sudden boiler breakdown in SE21, then call us on 07951538977. Our reliable engineers are fully qualified at any type of emergency. They will confidently diagnose what the problem is and find the best solution They carry out their work with skill, professionalism and absolute dedication. They never leave any mess behind and carry out all the necessary checks. Trustworth can repair any boiler currently on the market. Our skills are not just restricted to that. We offer helpful advice on how homeowners can stop future breakdowns from occurring again, any time soon. So our aim is to help you save money in the future and make sure your home heating, is perfect. We offer a 3 year guarantee on all installations. For all type of boilers in your home (Ideal, Baxi, Potterton or Vaillant ) we carry out expert checks / servicing. It's important that you only hire a qualified gas safe engineer to do the job. You can't take any silly chances because there is a strong possibility fatal errors can easily be made. Our annual servicing package offers you the best aftercare you could hope for. Call us on 0208 670 4443 to discuss the right package for you. We have a gifted boiler installations team that can fit all types. We offer advice on how you can safely dispose of the old one. We offer a 3 year guarantee on all installations. For all emergencies call Trustworth Plumbing on 07951538977. We have a dedicated 24 hour response service. We always aim to get to your property / home, as quickly and safely as possible. 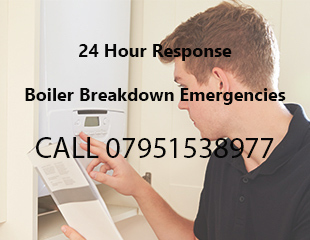 Our same day response enables us to successfully tackle your boiler problems and solve them quickly. Being without heat or hot water is an emergency; especially if you have a young family or are elderly . Our engineers cover the region of South-East London. We provide this professional service to landlords, homeowners and business owners. It does not matter the make or model of your gas appliance - we can fix it..